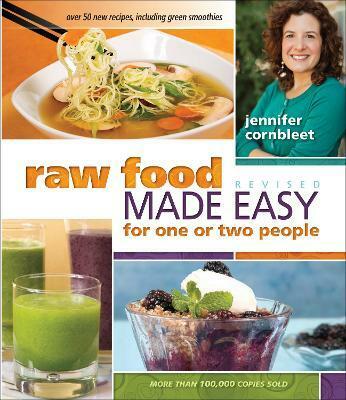 In this newly revised edition of her no-cook classic, raw-food chef and instructor Jennifer Cornbleet continues her mission to offer tasty meals, snacks, and desserts made with basic kitchen equipment and everyday ingredients. Along with favorites from the first edition, Jennifer has added 50 new recipes, including more fruit dishes, salads, and salad dressings, and an innovative collection of green smoothies based on nutritionally power-packed greens and fruit. The first edition has sold more than 100,000 copies.